The number of bloggers turning entrepreneurs keeps growing which I find really exciting. Last year, I started wirting two posts entitled “from blog to shops” featuring green bloggers opening their own eco store (here). It doesn’t stop there, since I’m currently working on another post for this series. Now this specific post is a tad different, because these green bloggers are launching their own products/beauty brands. The green bloggers mentioned below are all passionate and dedicated, so you can expect only the best from them. Jasmine-lovers unite, Kimberly’s body oil will be a treat you don’t want to miss. Ru from Short Small and Sweet once sent me a sample of Rachel’s Plan B Vanilla body oil which remains one of the most delicious scents I’ve ever sniffed. Add to that Kimberly’s knowledge about green beauty and Jasmine and you have this awesome product. Make sure to read Kimberly’s fantastic blog post (here), explaining the whole creative process. It’s a limited edition, and the oil is selling like hot cakes, so grab one while you can. A few weeks ago, the effervescent and delightful Sonja who runs the witty and sassy blog Life in Blush, shared a picture (here) of what looks like an oil cocktail with Seabuckthorn, aka the vitamin-packed super oil. She’ll drop more hints in the coming months, so make sure to follow her to stay up to date. Sonja has always had impeccable taste, so I’m sure she’s working on something incredible. 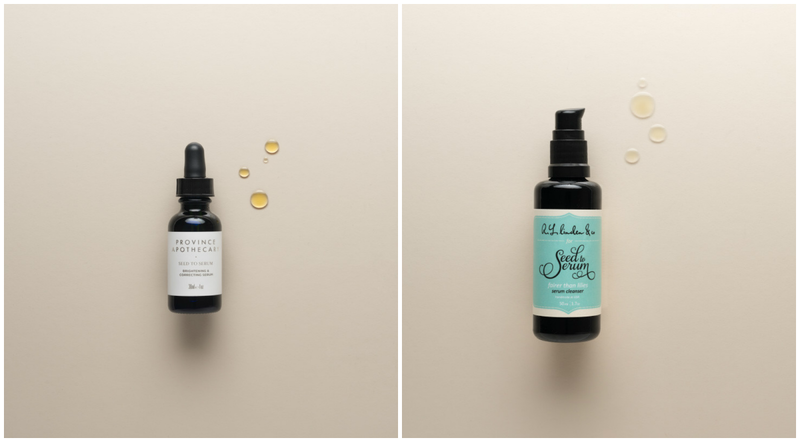 Megan who has been running the blog Seed to Serum, launched her eponymous shop (I talked about it here). Besides stocking a beautiful range of products, she also collaborated with three outstanding green beauty brands, namely Laurel Skin, RL. 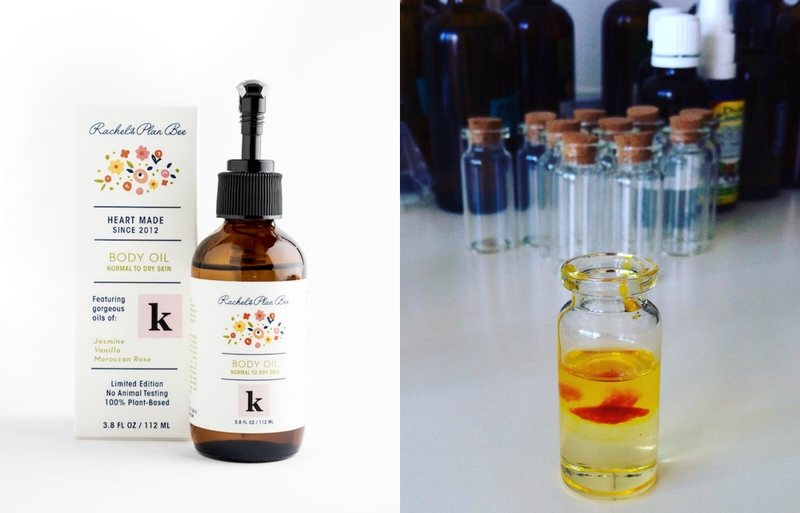 Linden and Province Apothecary, to launch a body oil, a brightening serum and an oil cleanser. As you can expect from Megan, who has a knack for all things niche, the blends are looking absolutely extraordinary and perfect for a spa session in the comfort of your own home. Pictured here, the brightening and correcting serum and the Fairer than Lilies serum cleanser, which are both on my wishlist. Hopefully the oil cleanser is not permanently sold out. Danny from Holistic Green Beauty has been quitely working for a long time on a special project, i.e his own skincare line! His collection will comprise of four skincare products, a cleanser, two face oils and a toner, all bottled in sleek Miron violet glass. Danny was kind enough to send me the brochures and I was genuinely impressed by the four blends. With his partner Scott, they created 4 vitamin cocktails for your skin, I don’t know any other way to put it. You’ll hear more about it soon, but pictured above, is a picture of his Rose Radiance Toning Mist. He’s also about to launch his new website, so make sure to suscribe to the newsletter to be the first informed (here). 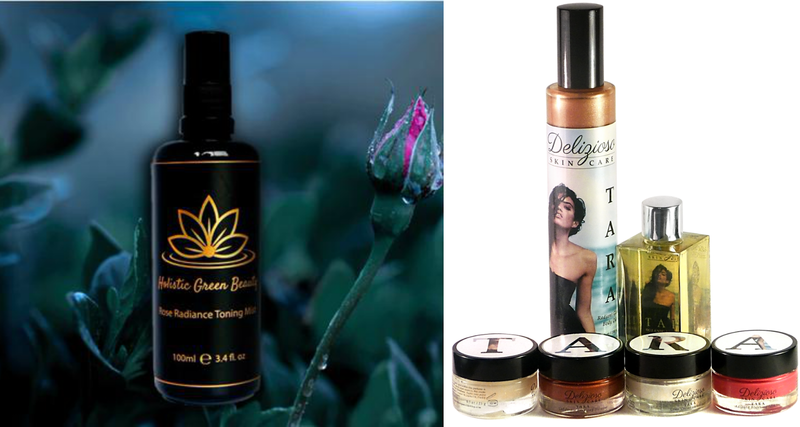 The gorgeous Tara from Organic Life blog, collaborated with Delizioso Skincare to launch her first beauty collection. If you’re curious to see how it looked on, Jana from Small bits of Loveliness did a beautiful makeup look with it (here). However, I believe that these are now sold out, but fear not, Tara has collaborated on another collection. This time, it’s with Gia Minerals: the Siren Collection, which comprises 4 eyeshadows, one lipstick and a makeup brush. The products are cruelty-free, paraben-free, gluten-free and USDA Organic. Last but not least, Tara wrote a book entitled “Cured by Nature“, where she shares her journey towards self-healing. If you enjoy indie mineral makeup, then chances are that you’ve already have come accross Brija Cosmetics. Brija Cosmetics was created by Brianna, who’s passionate about non-toxic beauty and runs the Youtube Channel (iluvjesse444). The products are vegan, cruelty-free and gluten-free. Her collection is playful, funky with a top-knotch pigmentation. She creates those super cute theme collections inspired by pop culture, literature and movie/tv. Since we’re in October, the Halloween Heroes collection will come in handy (here). Teri has a Youtube channel (here) where she gives in-depths reviews of beauty products, does beautiful makeup looks and shares covetable beauty hauls. She also has her own brand called Nouveau Organica. From what I could see, she’s launching limited editions products, so the makeup palette is not available anymore. In May, Teri launched her first skincare product: a facial moisturizer which is available on Amazon.com (here). It’s soy-free, gluten-free, dairy-free and cruelty-free and judging from the large number of positive reviews on products, it seems like a fab cream moisturizer. 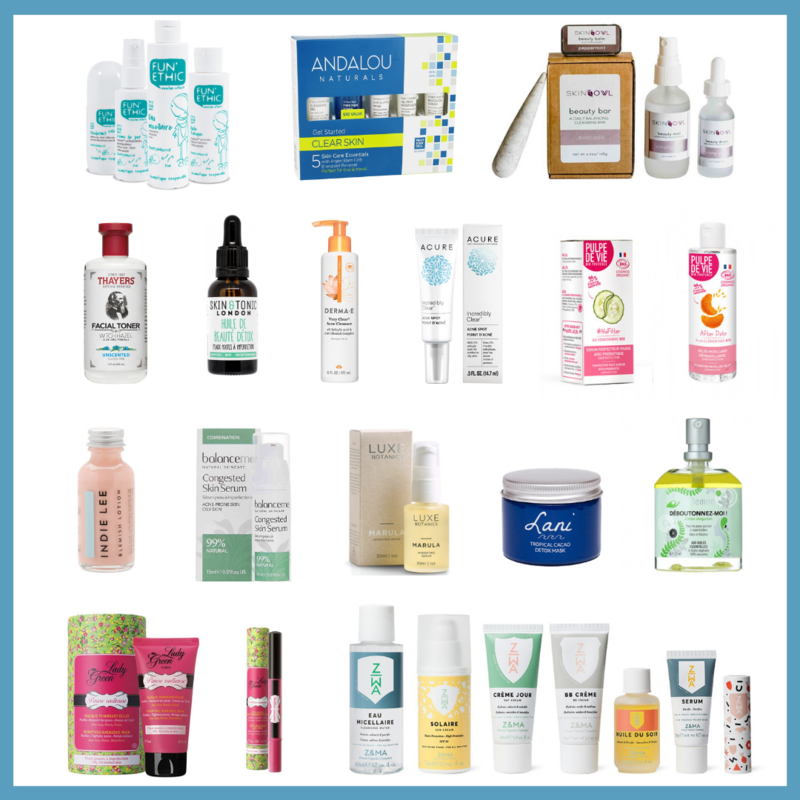 Obviously this is a non exhaustive list, there are probably more green/eco bloggers about to launch their own products/brands, therefore feel free to let me know as I’m always happy to update this page. How lovely of you to share these! Shows how this community is growing! It is a beautiful thing seeing the love and support and dreams coming true! I'm so proud of the green beauty community! 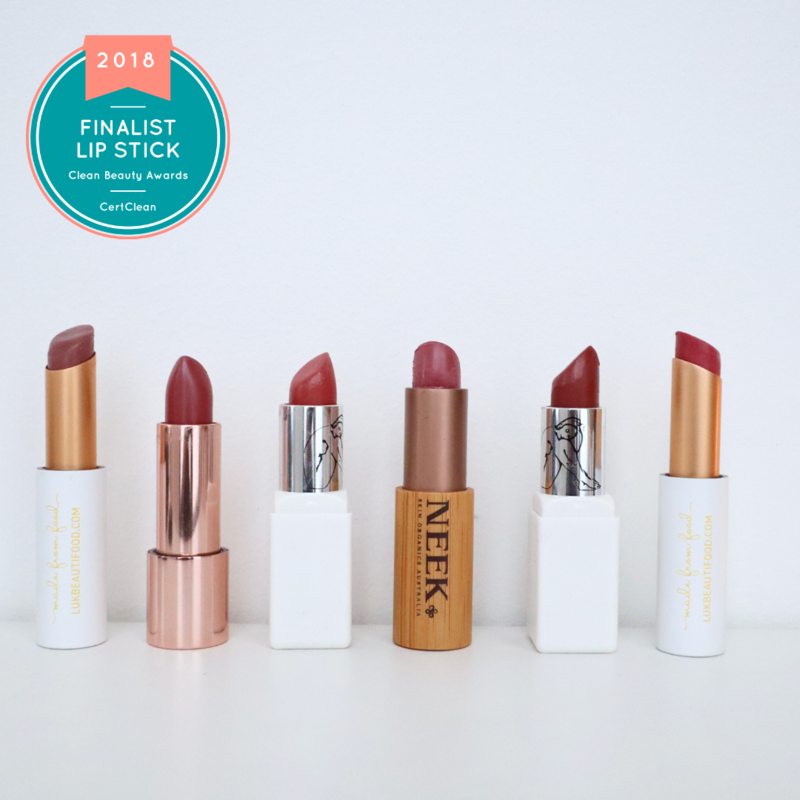 These beautiful women have brought their expertise and keen eyes to create such amazing products. I definitely hope to try Brija Cosmetics, the Seed to Serum product collaborations, and Beauty by Britanie x Modern Minerals. I was also fortunate enough to win the Rachel's Plan Bee x kimberlyloc Body Oil, which is just as gorgeous as it sounds.